Known for quality, Sabre Yachts delivered just that with their 32 and this rare 1985 centerboard version is perfect for a family looking to cruise the Chesapeake Bay. She performs well under sail with her masthead sloop configuration and when auxilary power is required, she has a 24hp Mitsubishi/Westerbeke diesel engine with only 175 hours. The Sabre 32's interior is light-filled and well thought out with full galley, nav station and accommodations to sleep 6. NOTE: This classic has been generously donated to the Chesapeake Bay Maritime Museum (CBMM) and is being sold as part of their Charity Boat Donation Program. CBMM has partnered with Curtis Stokes & Associates to market their premier vessels and as such this yacht offers an additional 2% commission for a broker who can bring a buyer and close before February 28th, 2019. United Yacht Sales New Jersey would love to guide you through a personal showing of this 32' Sabre 32 1985. 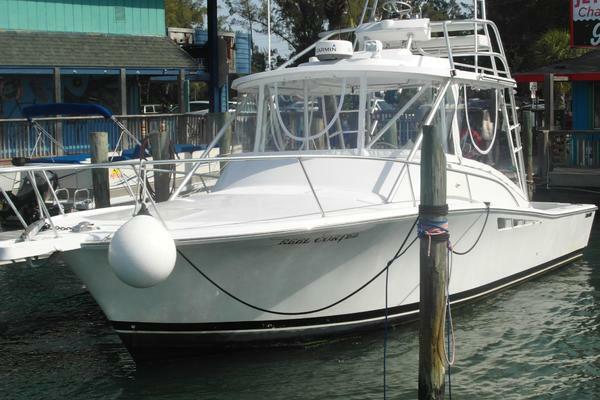 This yacht for sale is located in St. Michaels, Maryland and priced at $29,500. For a showing please contact us by filling out the form on this page and we will get back to you shortly! Known for quality, Sabre Yachts delivered just that with their 32 and this rare 1985 centerboard version is perfect for a family looking to cruise the Chesapeake Bay. She performs well under sail with her masthead sloop configuration and when auxilary power is required, she has a 24hp Mitsubishi/Westerbeke diesel engine with only 175 hours. The Sabre 32's interior is light-filled and well thought out with full galley, nav station and accommodations to sleep 6. N NOTE: This classic has been generously donated to the Chesapeake Bay Maritime Museum (CBMM) and is being sold as part of their Charity Boat Donation Program. CBMM has partnered with Curtis Stokes & Associates to market their premier vessels and as such this yacht offers an additional 2% commission for a broker who can bring a buyer and close before February 28th, 2019.